- BALANCE traded in slick, radio orientated Rock made distinctive by strong songwriting and pedigree guitar work. Initially put together as a studio project by vocalist Peppy Castro, guitarist Bob Kulick and keyboard player Doug 'Gling' Katsaros, who ranked amongst New York's leading session men of the day, BALANCE quickly evolved into something a little more substantial once the single 'Breaking Away' took off in America. Kulick, brother of fellow guitarist Bruce Kulick (HOOKFOOT, BLACKJACK, GOOD RATS and KISS), had just missed out on the original lead guitarist's position in KISS to ACE FREHLEY back in 1972. He retained close links with the self-styled Hottest Band In The World as he later substituted for ACE FREHLEY on the studio tracks of KISS' 'Alive II' album as well guesting on PAUL STANLEY's solo album a year later in 1978. As irony would have it, Castro grew up with Frehley in the Bronx, teaching the future 'Space Ace' his first bar chords. Castro recorded with BARNABY BYE in 1972 and later found himself in the Polydor signed WIGGY BITS. 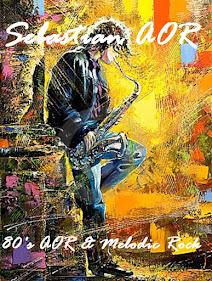 Castro and Katsaros also appear on PAUL STANLEY's solo record, an event which may have sewn the seeds for the formation of BALANCE, who signed to the Portrait label and issued their self-titled first record in 1981, a record once described by Kerrang! magazine as being 'up to its naked thighs in gloriously smooth harmonies and melodies'. Following the relative success of the debut BALANCE album, the group toughened up a little with Kulick clearly calling the shots on 1982's 'In For The Count', the material reflecting a more solid, punchy approach. Determined to take the group out on the road a permanent rhythm section was recruited for the album. Whilst seasoned veterans Willie Weeks and Andy Newmark ably contributed to the eponymous debut, the pair were replaced by bassist Dennis Feldman, ex-SPEEDWAY BOULEVARD, and Chuck Burgi on drums respectively for 'In For The Count'. However, the dream of taking BALANCE out on the road effectively died due to Castro's reluctance to tour, possibly because he was making too much money singing on TV and radio commercials. Ironic, then, that BALANCE's swansong should be a single released in Japan only, 'Ride The Wave', which was used to advertise Daihatsu cars! Kulick later went on to stints with MICHAEL BOLTON, more famously with MEAT LOAF, recorded and played live with DIANA ROSS (at the time KISS man GENE SIMMONS' latest squeeze) and formed further commendable outfits SKULL and BLACKTHORNE. Burgi's post BALANCE career included stints with RAINBOW, BLUE ÖYSTER CULT and also SKULL. Castro continued to pursue a lucrative career in television jingles and also fronted up a band unit known as U.M.O. during 1988, this formation involving ex-AGENTZ guitarist Steve Bondy, keyboard player Doug Kistner and AEROSMITH drummer Joey Kramer. Feldman joined MICHAEL SCHENKER GROUP and toured with Kulick in PAUL STANLEY's 1989 solo club tour before teaming up with Kulick again to record the SKULL album (using his adopted nom de plume of Dennis St. James). 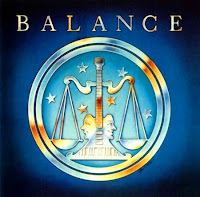 The BALANCE albums were issued on CD in Germany during 1992 and again, on a Two On One CD in 1997. - Balance was an early 1980s Rock / Hard Rock band based out of New York City and fronted by Illinois native, Peppy Castro, formerly of Blues Magoos. They are perhaps best known for their minor 1981 hit, "Breaking Away". In addition to Castro, original members included guitarist Bob Kulick and arranger/keyboardist Doug Katsaros. The trio recorded their self-titled debut album with session musicians, one of whom, drummer Andy Newmark also co-wrote one of the songs on the album and was apparently an official member of the band at one point. Newmark was later replaced by Gregg Gerson, who departed soon thereafter to play with Billy Idol. Prior to recording their follow-up album, Balance added the rhythm section of drummer Chuck Burgi (ex-Brand X) and bassist Dennis Feldman (ex-Speedway Blvd.) to the lineup. The group's most noteworthy release was 1981's "Breaking Away" from their eponymous debut album which reached No. 133 on the Billboard 200. The song peaked at No. 22 on the Billboard Hot 100 singles chart. The album's follow-up single, "Falling in Love", peaked at No. 58. The band failed to reach the chart again. 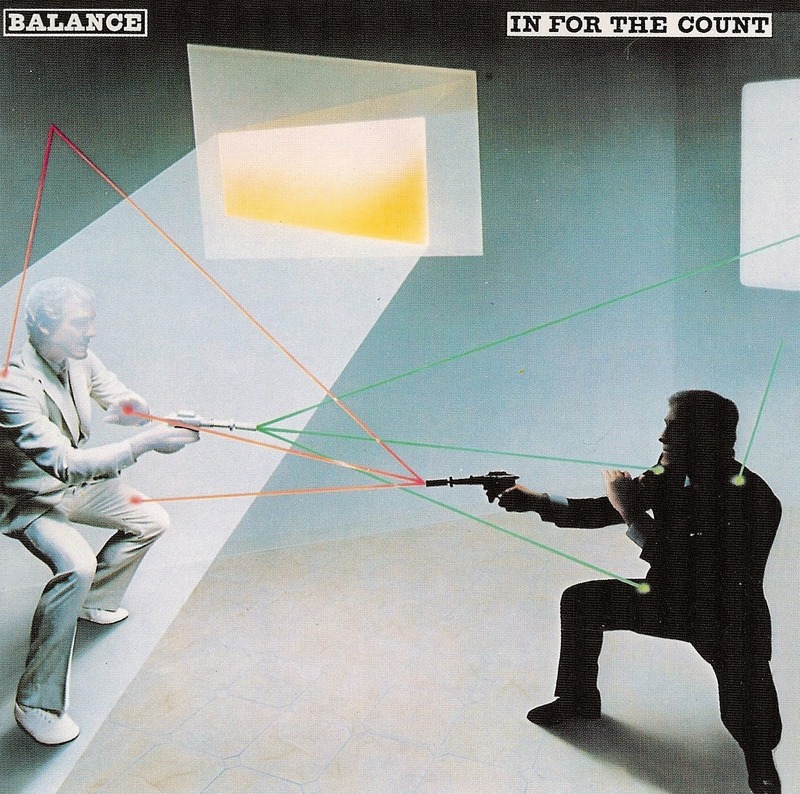 In early 1982, Balance entered The Power Station in New York, now Avatar Studios, to produce their sophomore album, In For The Count, with Tony Bongiovi, a cousin of Jon Bon Jovi, engineering and co-producing. After a massive house cleaning on so-called 'Black Friday', when 200 staffers at CBS, Epic and Portrait were let go, Balance would lose their supporters at the label and In For The Count became a direct casualty of the turnover. Although things looked bleak at home, the band experienced one last hurrah when they were asked to write a song for a major Japanese commercial to launch the new Daihatsu Charade. The resulting song was "Ride the Wave" which was also commercially released through Polydor, with album leftover "She's Alone Tonight" on the B-side. Balance would play a short tour of Japan before calling it quits due to lack of interest from their label and management company. Castro, Katsaros, Burgi, and Feldman (along with Bob Kulick's younger brother, Bruce) reunited briefly when they appeared on Michael Bolton's 1985 album, Everybody's Crazy. Kulick and Feldman, the latter adopting the name Dennis St. James and handling lead vocals, would re-team again in the band Skull whose sole album, No Bones About It, was released in 1991; Bruce Kulick and Chuck Burgi guested on various tracks. In the wake of the 2006 re-issue of In For the Count, Italian label Frontiers Records inquired about a possible new Balance album. Equilibrium was released in 2009 and features original core members Kulick, Castro and Katsaros, along with drummer Brett Chassen, who also co-produced with Kulick, as well as guest spots from Bruce Kulick on bass and Jesse Castro on drums. In 2014, the band reunited for its first live shows in 31 years for a short 3-date tour in Sweden. Peppy Castro, Bob Kulick and Doug Katsaros were joined by Dan Larsson on bass and Jonas Wikström on drums. Sweden Rock Magazine gave the band a rave review of their gig at the famous Rockland Club in Sala, Sweden, on August 26, 2014.